Summary: Her life at a crossroads, a young woman goes home again in this funny and inescapably moving debut from a wonderfully original new literary voice. I wasn't entirely sure what to expect when I picked up GOODBYE, VITAMIN by Rachel Khong. All I knew was that it was appearing on some Best of Summer lists, and it had a unique cover and title. It ends up that this book is pretty unique in its own right. GOODBYE, VITAMIN tells the story of Ruth, a thirty-year old woman whose fiancé has recently broken up with her. After receiving a call from her mother, she decides to quit her job and return to her childhood home for the holidays. What greets her there is startling -- her father, an esteemed history professor, is suffering from memory loss and in denial; and her mother is trying to cope with things in some unusual ways. Moving back in with the parents at 30 years old with no job and no fiancé is never ideal, but Ruth has an interesting take on her life. 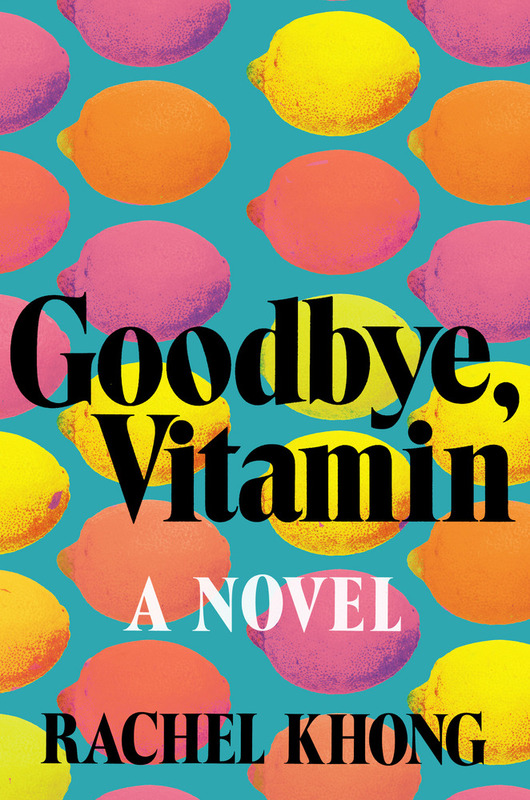 GOODBYE, VITAMIN is her story, both touching and funny; and it definitely gives readers a glimpse into the things that life can throw your way... and how important it is to keep things in perspective. I thoroughly enjoyed GOODBYE, VITAMIN, and I am extremely impressed with Ms. Khong's writing. The novel is written in Ruth's voice and readers get a peak into her life through vignettes. What starts as brief accounts of her life, full of stories about her parents and her father's memory loss, eventually turns more insightful as Ruth begins to reflect on her own past. It's almost as like Ruth's memories become more important in her life as her father's disappear. I really can't express how much of a pleasant surprise Ms. Khong's writing was to me. I didn't have a lot of exceptions, but I ended up being really moved by how well she brought this story to life. I had a grandmother who suffered from Alzheimer's so parts of Ruth's story really resonated with me. And I'll be the first to admit, that Alzheimer's is a terrible disease for both the victim and the family; however, it's true that my family has many hilarious memories of my grandmother's behavior. I think we had to laugh or we'd go crazy, and the author certainly captures those feelings in this story. Finally, I want share how much I loved so many of the messages in this novel. There weren't in your face themes, but they were messages that stayed with me long after finishing this book. It's true that we see our parents in a different light the older we get, and Ruth certainly saw her father differently that she did as a child -- and that was both good and bad for her. But this novel also focused on universal themes like loss, love and family; and I especially appreciated how insightful the story and characters were. I highly recommend GOODBYE, VITAMIN to fans of literary fiction and especially those that enjoy novels about families. I really liked this book too - I liked the way the author infused humor into a story that could have been pretty dark. I'm glad to hear you liked this book. I thought I might but after your recommendation I'm sure I will! Plus the cover is awesome!